Washington state-based Dry Fly Distilling has partnered with a local whiskey maker to produce limited edition Irish-style expressions. Dry Fly Distilling has partnered with a local whiskey maker to produce Irish-style single barrel expressions. The first bottlings from the “Hibernian” O’Danagher’s Single Barrel Whiskey collection will be available from this autumn. The five year old whiskeys will carry an expected retail price of $64.95 per 750ml. Tim Danaher, a farmer with links to Ireland and Scotland, first met Dry Fly’s co-owners in 2009 before collaborating to produce Irish- and Scottish-style whiskies. Danaher and Dry Fly have since produced around 15 barrels of whisky per year, with three set aside for the initial releases. “From the moment we met Tim, we saw his enthusiasm and raw talent for distilling,” said Kent Fleischmann, Dry Fly co-owner. 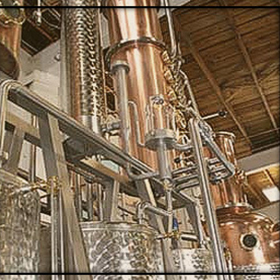 Dry Fly Distilling is a small-batch vodka, gin and whiskey distiller located in Spokane, Washington state. The distillery uses Christian Carl pot stills with multiple rectification columns. A farm-to-bottle approach means all spirits are produced from raw materials sourced locally.